When it comes to studying (any many other aspects of life), college is a lot different than high school. The work is harder, the homework takes longer, and you actually have to study. I'm not sure about you all, but in high school, I could simply study for about 30 minutes the night before a test and I'd probably get an A. If you're like this also, college is a rude awakening! Doing well on exams requires a lot more than 30 minutes of studying the night before the test. College is all about staying organized, and hopefully the following tips will help you to organize your study habits. 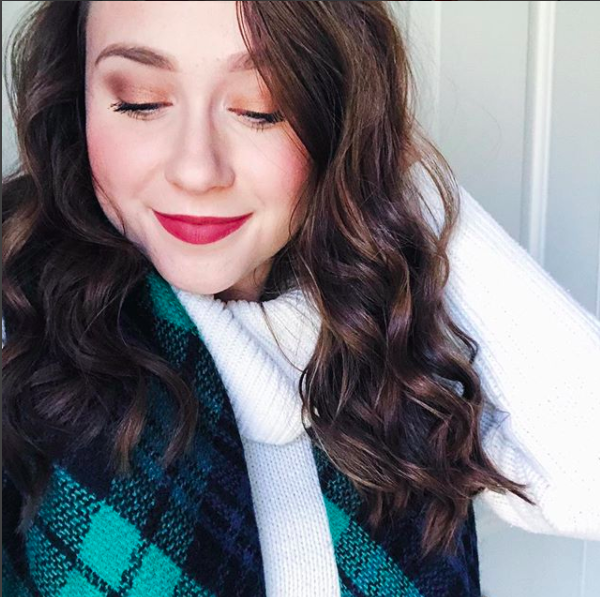 After a full year of college (plus a few months), I've developed a few really solid study habits that I'm excited to share with you today! I know, this is seriously a tough one. No one likes to think about the test that they have next week. Trust me though, studying far in advance is extremely helpful. If you want to avoid late nights and cramming sessions, you absolutely need to start studying at least a week in advance! Starting a week early will allow you to do a little studying each day, without having to study for hours on end. If you have trouble focusing for long periods of time, studying in advance is going to help you out so much. Instead of studying for 6 hours straight the day before the exam, you can study for 30-40 minutes each day to familiarize yourself with the material. I love to start studying early, because then while everyone else is cramming the night before, I can relax and get a good night's sleep before the exam. I'm proud to say I've never pulled an all nighter studying/doing schoolwork, nor do I ever plan to. Sleep is so important, especially in college when you're under a lot of stress. You should be getting 7-8 hours a night! This is definitely difficult for some people, as they're used to staying up late and doing work. I've gotten really accustomed to doing most of my work during the daytime hours if I can. Other than reviewing my notes a bit prior to going to sleep, I am pretty much free of schoolwork when I want to go to sleep. It's also important to relax before going to sleep, so if I'm feeling antsy, I like to have some of my favorite bedtime tea, which helps calm me down and prepare my body for sleep. While sleeping isn't really a study "tactic" it's such an important part of being prepared for exams. You need the right amount of sleep to function properly! There's plenty of things you can do to get a good sleep at night, if that's something that you struggle with. Try wearing a sleep mask, drinking a calming tea before bed, or even reading some of a book before going to sleep. 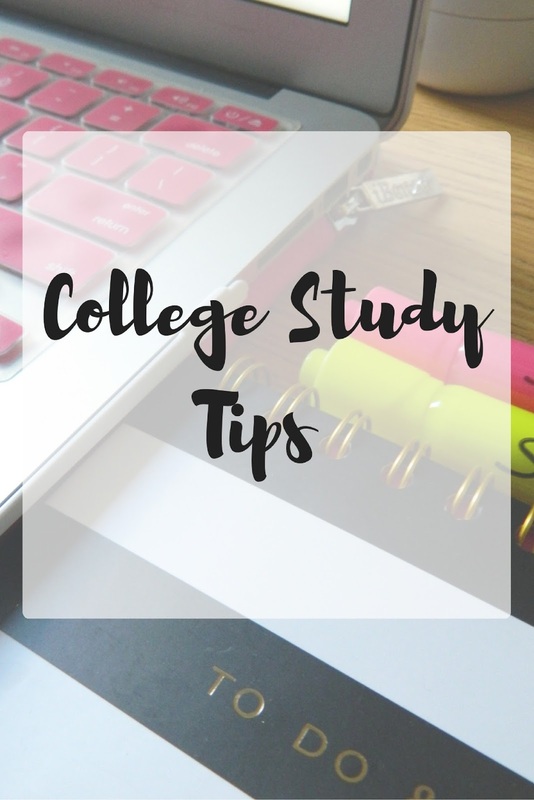 Don't just focus on getting a good sleep the night before the test, but the whole time you're studying (ideally, you should be getting a good sleep each night though!). A number of studies have shown that handwriting your notes is more effective in the learning process. Maybe it's the fact you're putting actual pen to paper, but whatever it is, handwriting your notes in class (or out of class) can be really effective in actually learning the material. This is a great way to prepare for your exams in advance. Right from the first day of class, you can begin handwriting your notes. I just mentioned handwriting your notes, so once you have all of your notes handwritten, grab your laptop and start typing away. My notes can be pretty messy, so to make them easier to study, I like to type them out on my computer. Not only does this make your notes easier to study, but it gets your rereading and rewriting the information again. Some people actually recommend handwriting your notes again, and THEN typing them, but I find that handwriting your notes once is usually enough, especially if you're planning on typing them all out. Once you've typed out your notes in a cohesive and easy to understand way, you have your own study guide for the test. Unfortunately, college professors typically don't provide study guides. Usually they'll tell you to "use your quizzes as a study guide" or something along those lines. I always mark up my typed notes with extra information. I also like to highlight important terms with a bunch of different colors to make studying a bit more interesting. If you're a visual person, this tactic can really help your brain understand complex information, especially if your exam if going to be full of important, unfamiliar terms. Whatever you need to add to help yourself learn the information, add it in pen. Don't be afraid to mark up the whole page! I know a lot of people like to listen to music while studying, but this is something that really distracts me personally. If you can listen to music while studying, by all means do so if this helps you focus. You can also try listening to music that doesn't have any words, which is something I do sometimes if I'm having trouble focusing. Also, avoid studying with the TV on or in an area with a lot of people talking. You may think you can multitask like this, but studying really requires your full attention. Put your phone on "Do not disturb" mode and try to only check it after finishing a section of studying. A lot of college students wait until the end of their studying to quiz themselves on important terms or information. Instead of doing this, make quizzing yourself a part of the studying process! Don't worry about not knowing all the answers in the beginning, because that's what studying is for. You can make your own flashcards or you can use a website like Quizlet which allows you to enter in all your terms and definitions and it creates a variety of different ways you can quiz yourself. Another simple way to quiz yourself is simply talking out loud about the subject matter that your studying. You can use your typed notes to guide you by highlighting key words and quickly looking down at the sheet to find the keywords. Then, you can talking about each word as if you were explaining it to someone else. What study tips do you guys have?! These tips are so helpful! I find it so helpful to write out my notes and to make my own study guide! Great tips. Kind of makes me miss college! I teach a small interest group sorta class at the University of Washington, and I used some of your tips since they were so spot on! thanks Hannah!